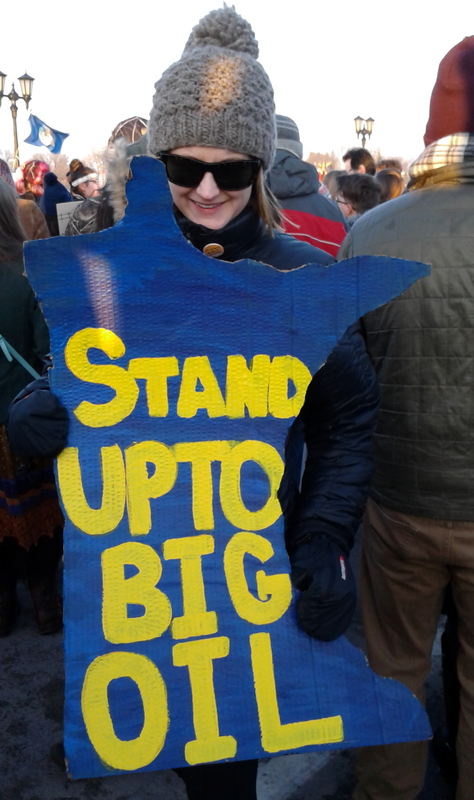 At the protest on the Lake Street bridge. 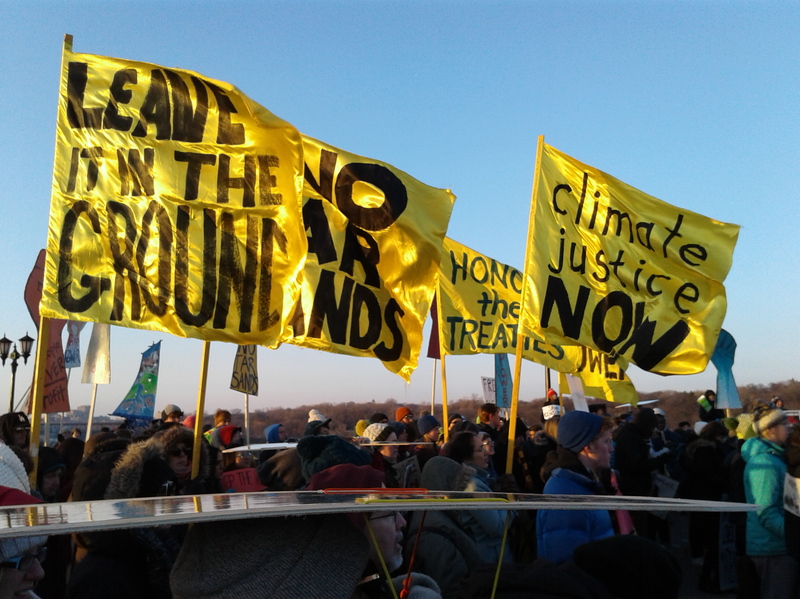 Protesters opposed to President Trump’s efforts to speed approvals for the Dakota Access Pipeline and restart the Keystone XL Pipeline started in two camps today. One met in Minneapolis at 47th Avenue South and East Lake Street. The other in St. Paul at Cretin Avenue and Cleveland. 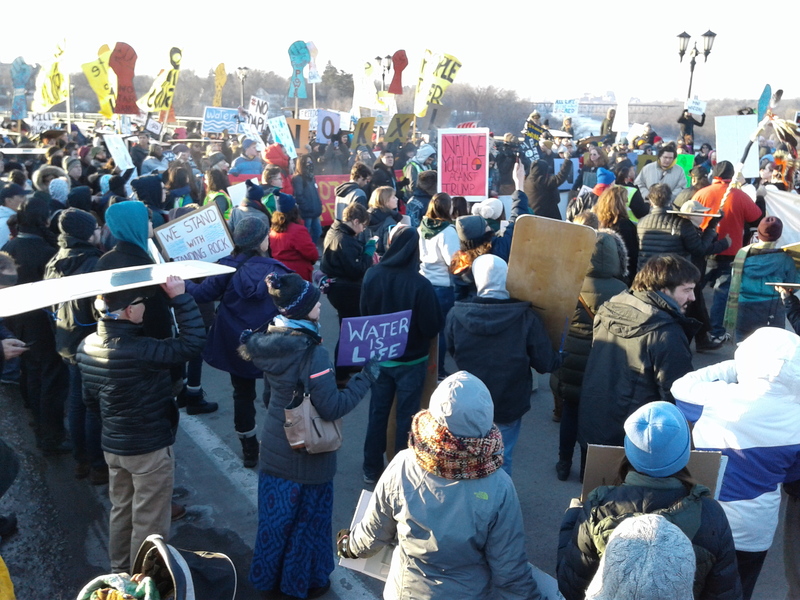 They marched towards each other and met at the middle of the Lake Street/Marshall Avenue bridge, blocking rush hour traffic. A prayer was offered. An eagle flew by. 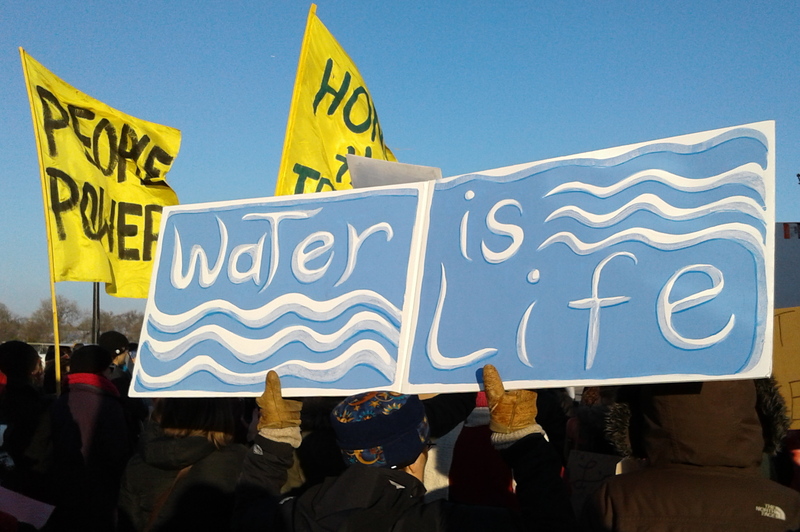 Call and response chants went up: “Mni Wiconi” “Water is Life!” and “Black Snake” “Kill it!” There were signs and banners aplenty. Aztec dancers danced and drummers drummed. Police were on hand to block traffic and all in all it was peaceful event. No arrests were made. MPR put the crowd at 150, which I think is an underestimate. 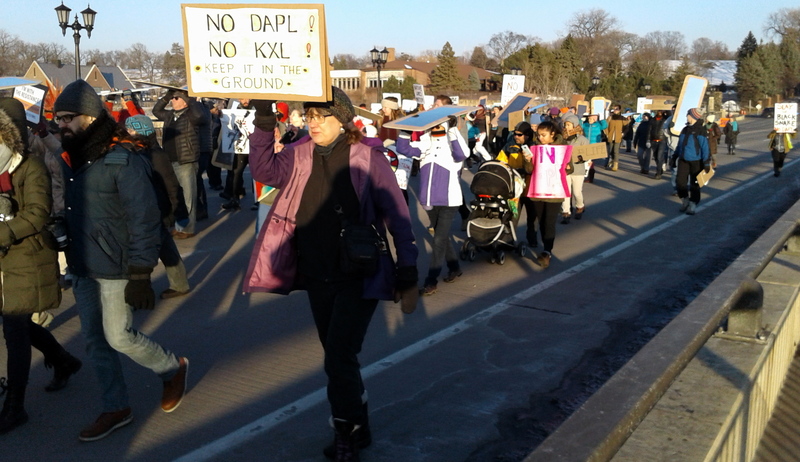 The St. Paul side of the march heads to the center of Marshal Avenue bridge. 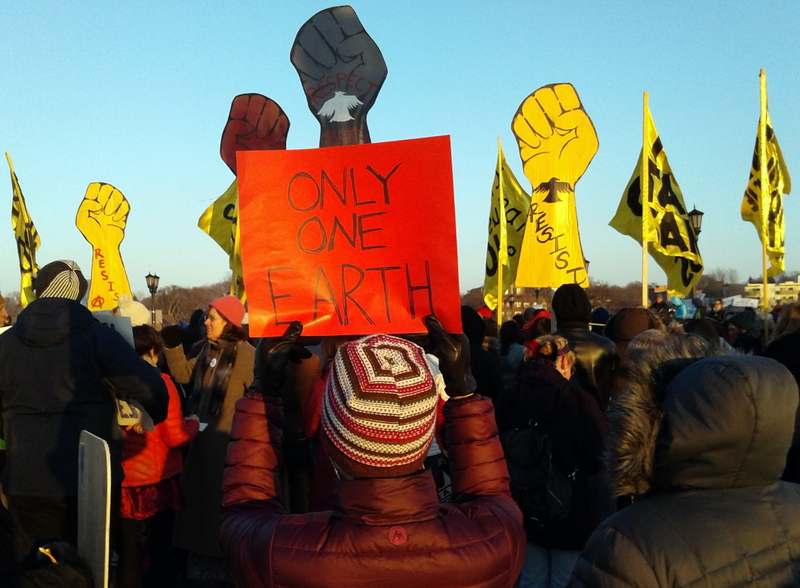 I agree – it was peaceful and honoring to support Native rights, Mother Earth and the Native and 350.org young adults who organized and led!